Vacuum cleaners, like most household appliance makes cleaning easy. Vacuum cleaners and floor cleaners cover a big floor space and they also reach places that are hard to reach, for example, under the furniture. Jumia Egypt stocks vacuum cleaners and floor care appliances from top brands including LG , Philips, Hoover, Kenwood, Black & Decker and Bosch. Order for your favorite brand of vacuum cleaner online via Jumia Egypt and have it delivered at an address of your choice. We have a huge collection of the best vacuum cleaners, these include cordless vacuum cleaners which must be charged in advance and are portable. We also stock the handheld vacuum cleaners, ideal for cleaning the inside of a car, couches and basically small spaces. Other floor care appliances include steam cleaner, mops and upholstery cleaners. Shop for both big and small vacuum cleaners on Jumia Egypt and enjoy the best prices plus discounts on selected vacuums. 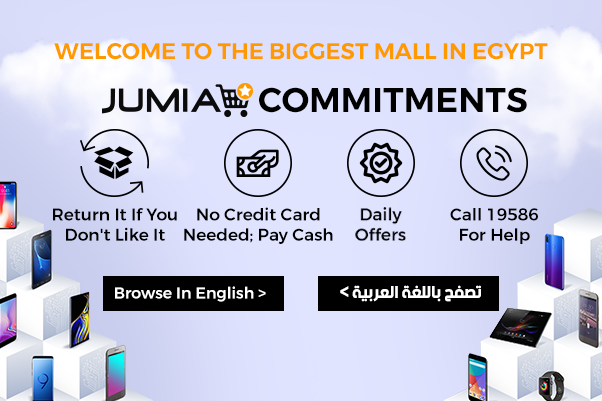 Order for your vacuum cleaner on Jumia Egypt, our vacuum cleaner prices are pocket friendly and you get to shop conveniently online without having to leave your desk. Shop for quality but cheap vacuum cleaners now and have it delivered to your home or office.